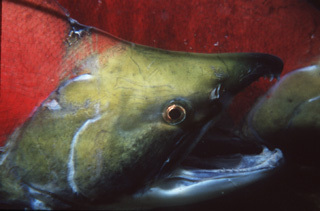 Female sockeye salmon preparing a spawning area in the Adams River, B.C. 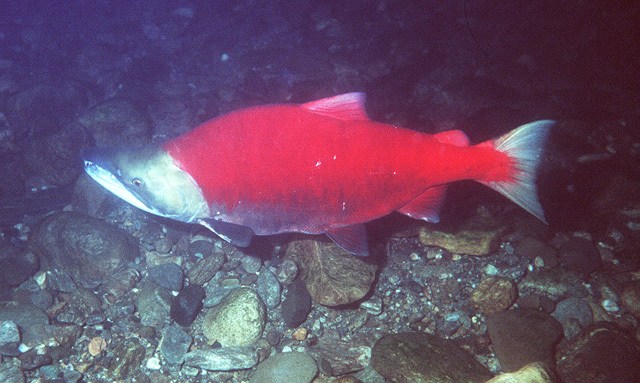 Male sockeye salmon on spawning grounds of the Adams River, B.C. 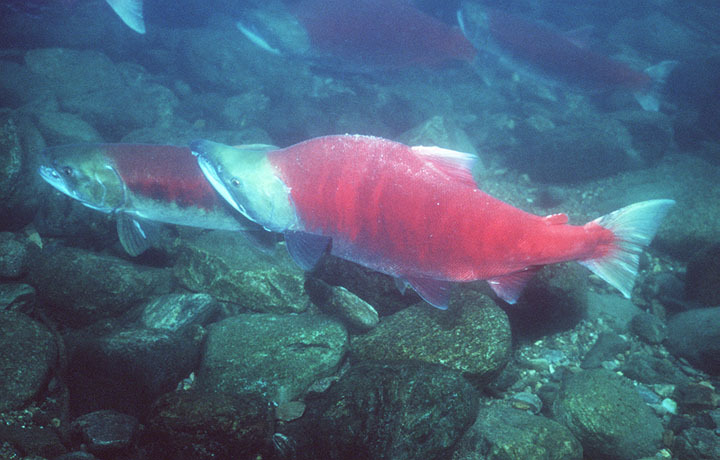 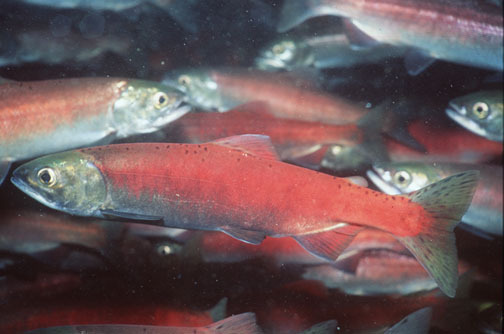 Male sockeye have steeper humped backs and are slightly larger than females. 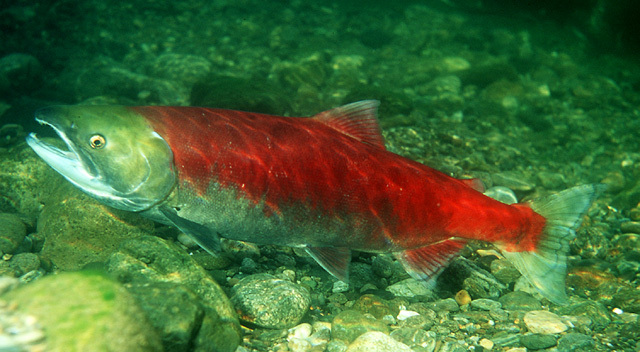 Landlocked sockeye salmon are called Kokanee.